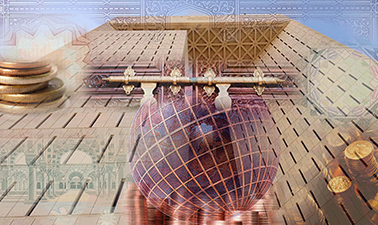 This economics and finance course will give you an overview of the Islamic financial system. You will learn the core principles and basic models of Islamic finance and establish a framework for understanding this financial system. If you are interested in the key features and foundational concepts of the Islamic financial system and institutions, or what distinguishes the Islamic financial system and its institutions from the conventional financial system, this course is for you. No previous knowledge about Islamic finance is needed, but basic business knowledge is advantageous. The course runs well, the organizers have done an excellent job, really appreciate for moderate timeline, we have sufficient time to complete the course. Thx edX. The instructors are doing well,and content is Best in the market taking us further with a wider opportunity.I feel it is a best decision. Some crooks always will be there, the job of the humans irrespective of the religion is to go on doing good work. Even the Pope has proposed that the present finance system should be on Islamic Finance lines. Keep it up IRTI go ahead and the world will appreciate your efforts in long run.